Who doesn’t, right? But just saying you love beer is one thing; I’m a man of action. Let’s pull the petals off the rose one by one and count the ways beer is a big part of my life. 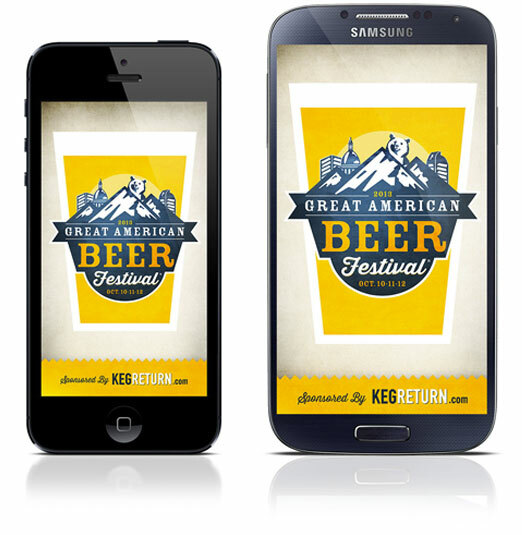 I designed the GABF app, I homebrew, I do beer reviews, and I have an big background in Advertising + Marketing + Point of Sale/Shopper Marketing. Yes, I love beer. 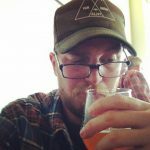 I’ve been homebrewing since 2010. Is my beer the best beer in the world? Of course! But, your own homebrew should always be the best; the experience of crafting a recipe, thinking about the ingredients and putting it all together is what makes it taste so good. Think of it as a, “the journey IS the destination,” kind of thing. My favorite thing about homebrewing is that it really gives you a deep appreciation and understanding about how beer is made and where smells and flavors come from. I also consider myself an amateur beer historian and love the history of each beer style and brewing tradition. I don’t mean to be dramatic, but I think they’ve named this beer wrong. I write beer reviews. Well, to be more specific they’re called, “beer spotlights,” because PorchDrinking doesn’t do any negative reviews (which I love about them). Here’s a collection of the articles I’ve written for PorchDrinking. I’ve been working in advertising a long time. That includes my current position at Integer that specializes in Shopper Marketing and Point of Sale – a big part of beer sales. Check out my resume to get the details.